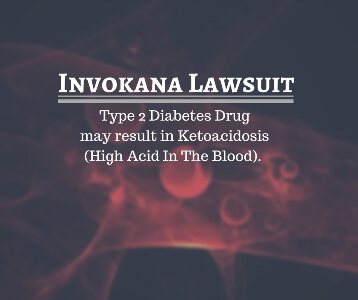 The law firm of Zoll & Kranz, LLC is continuing to investigate the potential link between these drugs and ketoacidosis. In March 2013, the FDA approved Invokana (canagliflozin) tablets for adults with Type 2 Diabetes to improve glycemic control. A search of the FDA Adverse Event Reporting System (FAERS) database identified 20 cases of acidosis reported as diabetic ketoacidosis (DKA), ketoacidosis, or ketosis in patients treated with SGLT2 inhibitors from March 2013 to June 6, 2014 . All patients required emergency room visits or hospitalization to treat the ketoacidosis. Since June 2014, the FDA has continued to receive additional FAERS reports for DKA and ketoacidosis in patients treated with SGLT2 inhibitors. The FDA recently added a new Warning and Precaution to the Invokana and Invokamet drug labels regarding the increases risk of bone fractures and decreased bone mineral density. The other SGLT2 inhibitors are still being evaluated by the FDA to see if their label needs to be updated. Please contact our product liability attorneys if you have any questions on this investigation or if you think you have been injured by your SGLT2 medication. You may be able to file a lawsuit. The lawyers can be reached toll-free at 888-841-9623 or our online live chat representative is always available. Please fill out the form for a complimentary case evaluation for Invokana. When did you start taking Invokana?